Ross Trindle practices out of the Riverside Office of Aleshire & Wynder and provides clients with extensive experience in state and federal court litigation and acts in the capacity of general counsel and transactional counsel. His litigation practice encompasses complex civil rights defense from inception to trial and on appeal including public safety liability for alleged excessive force/unlawful search and seizure, unlawful practices, fair housing/housing discrimination, labor issues, premises liability, cannabis regulation, and Government Claims Act matters, among other areas. His transactional practice involves advising local governments and public employees in all areas of public law. Currently he serves as General Counsel for the South Montebello Irrigation District, the Isla Vista Community Services District, and the Los Olivos Community Services District. Additionally, he serves as Special Counsel for the Arcadia Police Department and the City of Corona, and Litigation Counsel for the cities of Chino, Rialto, Hesperia, and Perris. Previously he has served as Deputy City Attorney for the City of Upland for cannabis issues, and Assistant City Attorney for the cities of Downey and Covina. Mr. Trindle follows and advises on such cutting-edge legal/technical issues as police body cameras, electronic cigarettes, synthetic drugs, cybersecurity/electronic privacy, automated license plate reader technology, and unmanned aircraft systems (drones). Prior to joining Aleshire & Wynder, Mr. Trindle practiced with the law firm of Jones & Mayer as litigation counsel. Previously he was a Partner and head of the Public Safety Services Group, a subgroup of the Municipal Law Practice Group at Best Best & Krieger LLP. Mr. Trindle began his law career as an Associate with Carpenter, Rothans & Dumont, a Los Angeles-based boutique litigation firm representing public entities and employees. 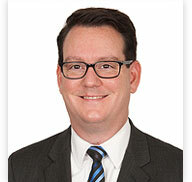 Mr. Trindle has practiced law since 2003 after graduating from Santa Clara University School of Law. He received a Certificate in High Technology Law following completion of a specialized curriculum at Santa Clara, which included a high technology law internship with Rajah & Tann, the largest law firm in the Republic of Singapore, as well as paid positions as a research assistant with the Broadband Institute of California at Santa Clara University, and as a law clerk in the Business & Legal Affairs department of Sony Computer Entertainment America (now Sony Interactive Entertainment). While in law school, Mr. Trindle was a semi-finalist in Honors Moot Court, and served on the board for the Honors Moot Court program. Mr. Trindle received his undergraduate degree in Law & Society (Criminal Justice) from the University of California, Santa Barbara in 1999.